On April 26, 1986, at 1:24 a.m, the world’s worst ever man-made disaster took place. Reactor 4 at Chernobyl Nuclear Power Station, three kilometres from Pripyat in the then Soviet Republic of Ukraine, was beset by a series of explosions that rose deep from its radioactive depths and blasted itself high into the atmosphere, eventually seeping its way into the far corners of the globe. Today the impact of Chernobyl, 21 years later, has become a half-global legend and half-forgotten horror story. The reality is still with many of the 50,000 people who on that fateful night in Pripyat were given less than an hour to gather together their possessions and escape to relative safety 70km away. They were considered the lucky ones, fortunate not to have been vaporised on the spot or to die an excruciating death soon after in the hospitals in Kiev and Moscow that some of the workers and firemen sent to fight the blaze did. Most of the inhabitants had no choice but to gradually return to the contaminated areas that they still call home, and for the past 20 years have continued to live under the shadow of the reactor. Pripyat, in the centre of the 30km wide Red Zone, is still largely a ghost town, where the paint peels in houses and schools, and the dirt settles on childrens’ toys that will never be reclaimed. Meanwhile emergency orders still apply to 355 farms in Wales, 11 in Scotland and nine in England. 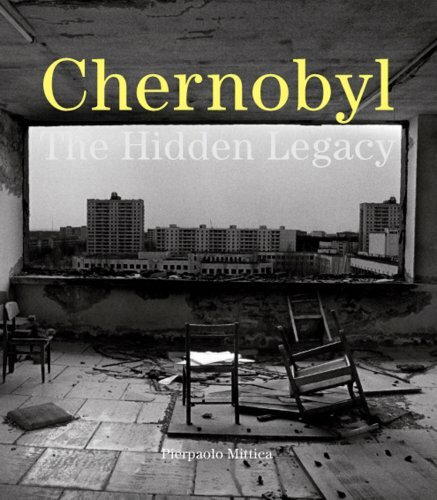 Chernobyl – The Hidden Legacy shows the region over a period of three years by Pierpaolo Mittica, who returned several times to document the people and the contaminated landscape they still inhabit. Our world today demands nuclear energy as the answer to its energy crisis, and the legacy of Chernobyl remains shrouded. Time is running out, as the sarcophagus built to contain the reactor and its radioactive contents begins to crumble away. No one has the answers and no one is asking the questions – but can the world afford another Chernobyl?